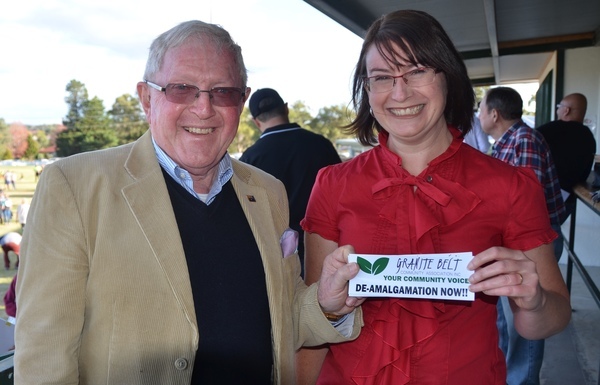 The Granite Belt Community Association (GBCA) is calling on the Southern Downs Regional Council for full transparency on workshops planned next week on de-amalgamation. Community workshops will be held at Stanthorpe Civic Centre at 6.30pm this coming Monday 1 April and at the Warwick Town Hall at 7pm on Tuesday 2 April. The workshops follow an internal council review of the GBCA’s business case for de-amalgamation and a ‘peer review’ by external consultants commissioned by the council, which the council has previously said would cost ratepayers up to $40,000. The business case is also with Queensland Local Government Minister Stirling Hinchliffe and is being reviewed by his department and by the Queensland Treasury Corporation. It is understood SDRC councillors may formally vote on their support or otherwise for de-amalgamation at their monthly general meeting on Tuesday 30 April at the Warwick chambers. Mr Hinchliffe and the Queensland Government will have the final say on de-amalgamation of Warwick and Stanthorpe but the minister has previously stated the issue could be put to a region-wide vote. The council has said its own internal review of the GBCA business case had revealed what it claimed were “inaccuracies”, with many on the Granite Belt of the belief the council is trying to prevent the de-merger from going ahead. GBCA president Rev Alan Colyer this week said while the group was “certain” that the council will be committed to ensuring that the presentations at the workshops by the council’s consultants “will be fair and balanced, we are disappointed by our Association’s exclusion from this process”. “The SDRC’s Management Review was effectively a document in opposition to our proposal and we are naturally concerned about Mr Hoffman’s review, given the apparent nature of the instructions given to him by the CEO in February,” Rev Colyer said. Rev Colyer said correspondence from one of the consultants, Greg Hoffman, dated 17 March has been shared with the association by the SDRC and notes that on 8 February an email was received from the council’s CEO David Keenan seeking Mr Hoffman’s assistance “to support development of a response to the proposal of the Granite Belt Community Association”. “In contrast, Mr Hoffman proposes only a ‘peer review’ of the Council Management review response,” Rev Colyer said. “We consider that in these circumstances, we are entirely justified in our concerns about the fairness to our Association of this process. “In the spirit of transparency, the GBCA have requested copies of all emails, letters and file notes of meetings between SDRC staff and officers and Mr Hoffman and his associates in relation to this matter prior to 8 February 2019 until now. “We have also requested that arrangements be made for our consultant, Mr Spearritt or other representatives of our Association have a meeting with Mr Hoffman prior to his finalisation of his various reviews, commentary and summary presentation and a copy of his presentation to the workshops, be provided to the GBCA in reasonable time prior to the first workshop.